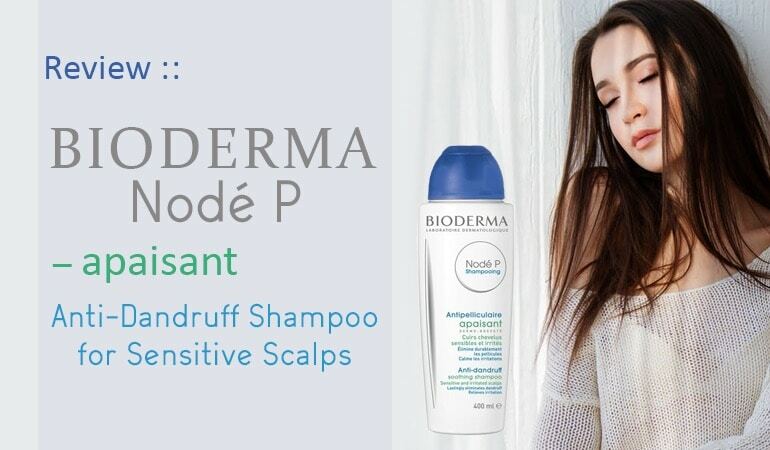 Bioderma Node P Apaisant Anti-Dandruff Soothing Shampoo is a fabulous option for sensitive, irritated conditions of mild to moderate dandruff and seborrheic dermatitis. With a combination of 2 anti-dandruff actives and dry flake busting salicylic acid, its overall efficacy is excellent. It washes and smells great and if it weren’t for the presence of fragrances and silicones it would be an almost perfect sensitive scalp friendly formulation. Bioderma have a host of shampoos available to treat your dandruff. It wasn’t long ago that we reviewed their very decent 4 star rated Node DS Shampoo.N The Node DS is, according to the blurb, their intense dandruff shampoo while Node P is their dandruff shampoo. Their Node range of shampoos is, as you can probably guess, huge. 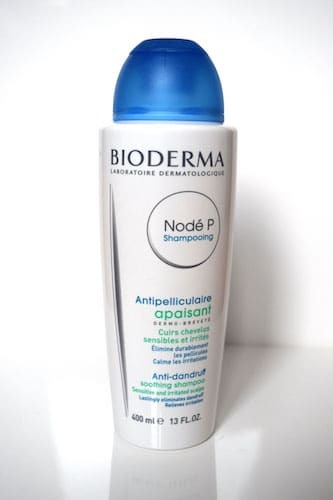 The Bioderma Nodé P – Apaisant Anti-Dandruff Soothing Shampoo for Sensitive and Irritated Scalps is a lengthy, but helpfully self-explanatory, full name of this particular shampoo. If you have dandruff, not too severe, and a sensitive or irritated scalp, this is what they consider to be your best option. This particular shampoo is a combination shampoo with multiple active ingredients, designed to treat sufferers of Seborrheic Dermatitis. With a sensitive skin stance and a combination of two antifungals (Climbazole and Piroctone Olamine) with dry flake softening Salicylic Acid this is an extremely interesting shampoo. If the rest of the formulation is as interesting, this looks set to be a great anti-dandruff pick. At first glance the formula looks great, but can you trust the company behind the brand? 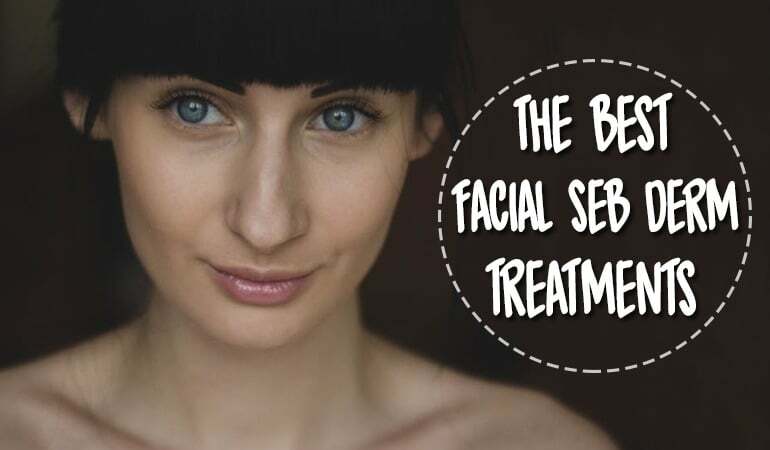 Bioderma are renowned for placing skin biology before any of the pretty stuff. Their commitment means, your dandruff will be treated in preference of a pretty shampoo scent or a foam boosting active that may have the side effect of irritancy. A great promise for often sensitive, irritated dandruff affected scalps. Since the 1970’s Bioderma have made it their mission to become an expert in dermatology, which means the study of what makes skin healthy. Clearly, dandruff is an imbalance in skin health, so trusting a company who make it their mission to understand the core biology of this change, seems like a no-brainer. How does the Bioderma Nodé P – Apaisant anti-dandruff soothing shampoo arrive? Coming in 2 formats, a 200 or 400ml bottle, the Bioderma Nodé P – Apaisant anti-dandruff shampoo is delivered in a sturdy and classic shampoo bottle. Its flip top cap is intuitive and easy to use. Its clean design is reassuring and trustworthy. Its squeezability is spot-on and perfect for in-shower dosing.Appearances look perfect, but appearances are only the tip of your anti-dandruff iceberg, what about the Bioderma Nodé P – Apaisant anti-dandruff shampoos in-use performance? Easily dosing out of the bottle, the Bioderma Nodé P – Apaisant anti-dandruff reveals itself as a normal shampoo consistency with a creamy, pearlescent color. Its scent is a low volume fruity-floral, making it nice to use, but also lower than many other shampoos in potentially irritating, sensitizing and seb derm promoting fragrance allergens. The Bioderma Nodé P – Apaisant anti-dandruff shampoo works as well as any other industry standard shampoo. It spreads well, it foams nicely and it washes out quickly. You really wouldn’t be able to tell this was an anti-dandruff, specialist shampoo. Another box ticked. Now onto the most important bit… the ingredients. Do they work? And do the accompanying shampooing actives live up to Bioderma’s sensitive, irritated scalp friendly claims? Climbazole is very effective in the reduction of Malassezia yeast also clinically known as pityrosporum ovale. Small scale studies show a 0.65% Climbazole shampoo after 4 weeks of use, reduces dandruff, skin redness and itching significantly in 80% of cases, with the remaining 20% experiencing mild improvement. It is also known that when smaller levels of Climbazole (0.45%) are paired with Piroctone Olamine (0.5%) anti-dandruff treatments are not only as effective against dandruff as Zinc Pyrithione shampoos, they’re also more conditioning to hair. Compared to first generation anti-dandruff shampoos, Climbazole is seen as more powerful and more effective in both anti-dandruff and anti-itch efficacy. Both Climbazole and Piroctone Olamine showing a significantly increased safety profile. As opposed to Zinc Pyrithione which is predominantly insoluble, both Climbazole and Piroctone Olamine are easily soluble and therefore easy to use and more easily scalp absorbed. Finally, the icing on the cake. Piroctone Olamine shampoos, when compared to traditional Zinc Pyrithione shampoos, are proven to increase hair shaft thickness and help to reverse hair thinning commonly associated with dandruff and Seborrheic Dermatitis. Accompanying the Bioderma Nodé P – Apaisant anti-dandruff shampoos primary antifungals is dead skin softening Salicylic Acid. A skincare ingredient able to gently, over time, exfoliate away existing dandruff flakes and prevent the build-up of new ones. It even increases the efficiency of the anti-fungal agents by increasing skin penetration. It seems like Bioderma have seb derm efficacy covered, however, can they back up those sensitive scalp claims? Looking at the Bioderma website, this shampoos specific efficacy for sensitive and irritated scalps is a consequence of D-Panthenol, a moisturizing ingredient often described as a humectant i.e. an ingredient able to attract and bind water molecules. Bioderma state, ‘The dermatological agent D-Panthenol provides immediate relief thanks to its soothing, moisturizing and coating properties’. All statements which correctly describe the well-known effects of Panthenol. The Bioderma Nodé P – Apaisant anti-dandruff shampoo is definitely a winner for sensitive and irritated skin types. However before we rubber stamp it, let’s take a look at what often lets down anti-dandruff shampoos – their cleansing system. While the Bioderm Nodé P – Apaisant anti-dandruff shampoo is SLS free, it does contain a similar cleansing active – Magnesium Laureth Sulfate. While there is still some irritation potential (with any ingredient), Magnesium Laureth Sulfate is a very gentle surfactant which you’ll typically see in sensitive skin treatments. While the Bioderm Nodé P – Apaisant anti-dandruff shampoo is SLS free, it does contain one or two ingredients that may cause contact dermatitis in some of us. The first ingredient that caught my attention was Ammonium Laureth Sulfate (ALS). While Laureth Sulfates show better performance for all water types i.e. hard water as well as soft water, they are also questionable for irritancy in a similar vein to their Sodium Laureth Sulphate counterparts. In chemistry terms, the only difference between these molecules is their counter ion i.e. ammonium or sodium. However, as opposed to SLS (Lauryl Sulfate), Laureth Sulphates show much-reduced symptoms of irritancy. The shampoo contains some more gentle and moisturizing in Sodium Lauroyl Sarcosinate and Sodium Cocoamphoacetate which is again considered ultra-mild. 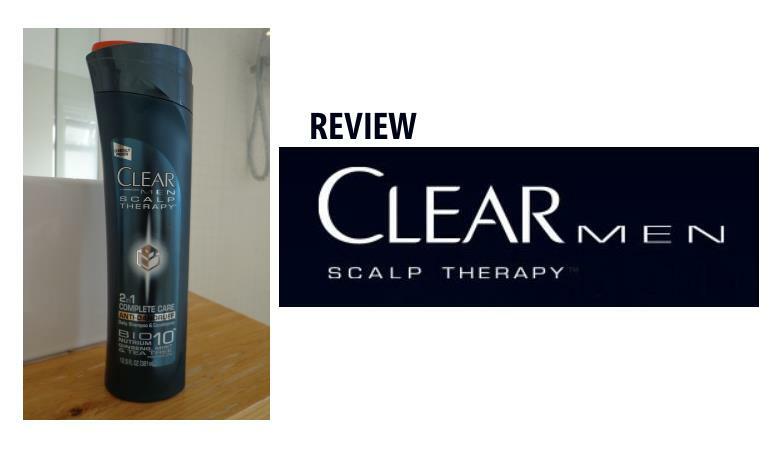 Overall a good cleansing system for sensitive and irritated dandruff scalps. Unfortunately, the shampoo isn’t silicone free with the addition of Dimethicone. But the biggest let down is the needless inclusion of fragrance and fragrance allergens e.g. Linalool. How they consider these ingredients suitable for a sensitive shampoo I’ll never know. It is a real blip on an otherwise great scalp formula. 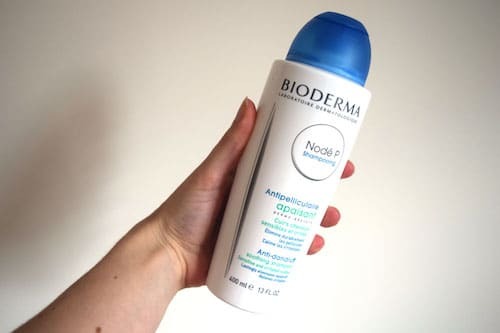 If you’re not sensitive to sulfates, silicones or fragrances – Bioderma Nodé P Apaisant anti-dandruff soothing shampoo is a fabulous option for sensitive, irritated conditions of mild to moderate seborrheic dermatitis. 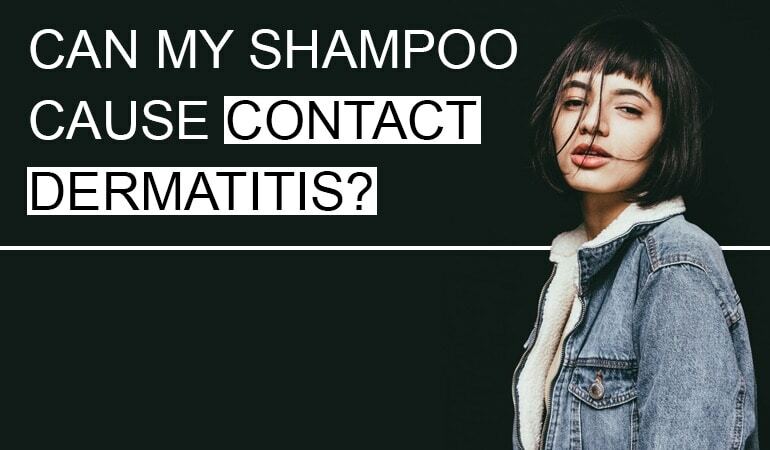 Combining Climbazole, Piroctone Olamine and Salicylic Acid is unique and there are elements of this shampoo that are outstanding. If they could have avoided adding the fragrances and replaced the sulfates/silicones it really would be an almost perfect sensitive scalp friendly solution.